Granada is the first Spanish city included in the list of Cities of Literature within the UNESCO Creative Cities Network Program. This classification will certainly motivate new literary trips to the beautiful city of Granada. 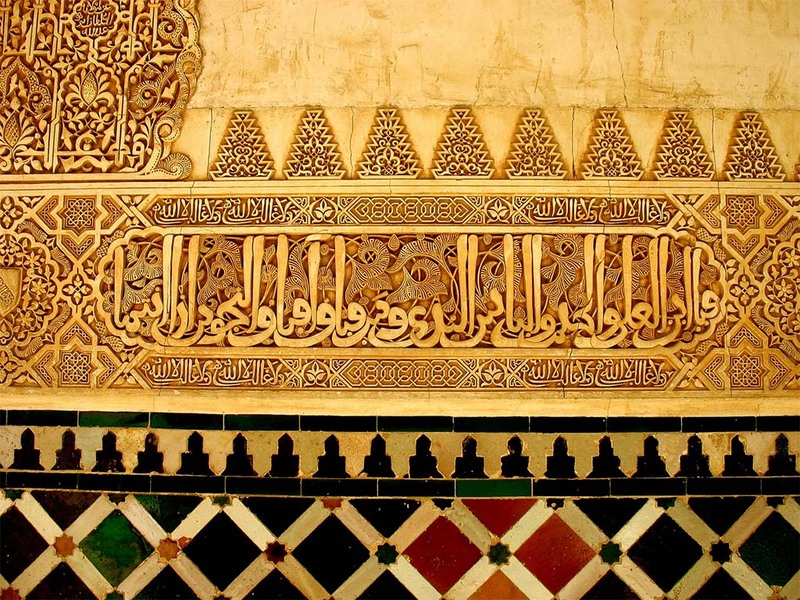 The outstanding literary heritage in the city includes one of the most surprising poem collections in the world: the poetry carved into the walls, ceilings and columns of the impressive Alhambra palaces in beautiful Arabic inscriptions. Alhambra and Generalife form a monumental complex of amazing beauty which is also part of the UNESCO World Heritage Sites, moving and inspiring poets and novelists during centuries, from Al-Siqundi to Ernest Hemingway, from Federico García Lorca to Salman Rushdie. The International Poetry Festival (FIP) taking place in Granada on a yearly basis. The opening of Centro Federico García Lorca, to safeguard and promote the study and knowledge of his work were certainly taken into consideration by UNESCO jury to reward Granada with the City of Literature title in 2014. Castilla La Mancha, the land of Don Quixote is probably the first literary destination in Spain. 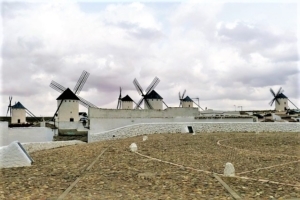 The windmills described by Miguel de Cervantes in one of the most published books ever, are now the symbol of the region. Santiago de Compostela is the scene of the novel “La Casa de la Troya” by Alejandro Perez Lugín. The frequent use of this book during the 20th century in the teaching of Spanish as a second language made the novel very well known abroad, especially in the Americas. La Casa de la Troya, the building where the main character of the novel used to live as university student in Santiago, is nowadays occupied by a charming hotel and a museum recreating the guesthouse where the novel takes place: one can pay a visit to the dorms, the kitchen, the study room and library… with furniture and decoration of that time, the beginning of the 19th century. Barcelona: “The Shadow of the Wind” , the novel by Carlos Ruiz Zafón released in 2001, has been a powerful motivation to visit the city where it was set: Barcelona. In this case visitors don’t have a specific nationality as the novel has been a global success: it sold over 6 million copies throughout the world. 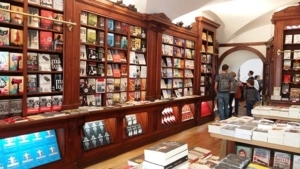 Bookstore lovers have 2 small paradises in Lisbon and Porto. Lisbon: Livraria Bertrand in Chiado is considered the oldest bookshop in the world. It opened in 1732 and was the origin of the present bookstore chain with shops all over Portugal and Spain. The old shop in Rua Garrett, 73 is still the most beautiful. Porto: Livraria Lelo & Irmaos is one of the nicest in the world thanks –also- to a spectacular staircase that seems to have inspired Harry Potter’s J.K. Rowling when creating the staircase at Hogwarts. The author lived in Porto during her youth, taught English at a language school and visited Livreria Lelo often.